If your children, or those of a family member, have been taken into the care of Social Services you’ll want to do all you can to bring them home or, at the very least, to have them placed with a trusted family member until you are ready and able to create the home that you would wish for them. As Law Society accredited children’s lawyers with experience helping to reunite children, parents and grandparents, we understand the sensitivity of such matters and just how stressful this can be for everyone. 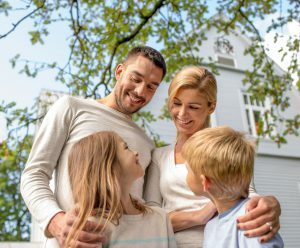 Even if you simply suspect that your local authority may become involved in your family situation you’ll want someone on your side who holds your family’s interests at heart, someone with the experience and knowledge to guide you through choppy legal waters to help to bring your children home to you where they belong. Our solicitors are highly knowledgeable professionals, each with years of experience in all manner of care proceedings, but what’s equally important is that we truly care. We care about the children whose lives have been turned upside down, and we care about the parents or guardians whose only goal is to ensure that their family is whole again. If you need advice or assistance related to any care proceedings, we are here to help.